Ms. McGhee is an elder law attorney with Black & McGhee, A Professional Law Corporation, who focuses her practice on advocating and protecting her clients' best interests. She has a strong background in commercial litigation which gives her clients an advantage when she assists them plan for and protect their future. 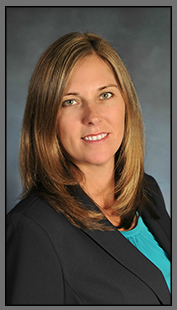 She possesses a broad range of experience in the areas of estate planning, elder law, long-term care planning, asset protection, retirement planning, banking, real estate and legal ethics. She uses her knowledge and passion to provide her clients with a complete plan for caring for themselves or their loved ones, asset preservation and to ensure that her clients' wishes are respected. 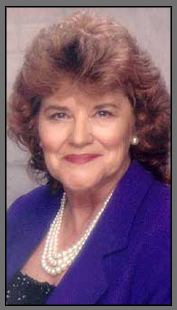 She is a member of the State Bars of California and Nevada, Vice-President of the Southern California National Academy of Elder Law Attorneys, Vice-Chair of the North County Bar Association California Conference of Delegates, Board member of the Southern Caregiver Resource Center and Board member and Secretary of the San Diego Dementia Consortium. She takes an active role in the dementia and elder care community providing hands-on support to not only the San Diego Dementia Consortium and Southern Caregiver Resource Center, but other community organizations, such as Alzheimer's San Diego. On January 1, 2019, Karen E. Black has fully retired from the practice of law. As the founding member of the firm and its preceding entities, she has been the backbone of our local legal community since the opening of her first firm in Escondido on May 1, 1988. For 30 years, she has trained and guided staff to understand our clients' needs and to provide the highest legal work possible. Her influence resounds within the firm and her strong guiding hand will always be felt. Karen can now devote her time to her beloved dogs, family members, writing and supporting the Midway Museum. Karen's husband Cole Black spent almost seven years as a prisoner of war in Vietnam, his POW experiences provided the inspiration and background for the novel. The personal relationship portion of the book is purely fictional. But the prison scenes are based on actual events that happened to the POWs in Vietnam. Read more here about: Code of Conduct.